Today’s main news: RateSetter enrolls 5K IFISA accounts in first month. OnDeck makes CFO transition. Augmentum set to IPO. TD Auto Finance, AutoGravity partner. Ranger Direct arbitration proceedings come to a halt. Investly secures 500K GBP through Seedrs. Today’s main analysis: A visualization of America’s personal loans. Today’s thought-provoking articles: UBS banned from sponsoring Hong Kong IPOs. China’s credit crunch. Credit scoring with big data. Santander Consumer USA partners with AutoGravity. BBVA Compass Express Personal Loan goes digital. FinFit makes $35M senior credit facility with Ares Management. Lend Academy interview with Varo Money’s Colin Walsh. Women are the target market. Cloud Lending Solutions recognized by Salesforce. Numerated gets two new bank clients. Fundbox rolls out new credit, payments solution. Caliber Home Loans launches mobile platform. Home Invest opens rental property renovation platform. Ranger Direct arbitration comes to a halt. Starling, TrueLayer integrate for open banking. HSBC plans to launch open banking app. Direct lending fund beats dividend target. Open APIs pave the way for personal finance firms’ European success. Interest, ROI top priorities for savers. UBS banned from IPOs in Hong Kong. Investly secures 500K GBP through Seedrs. CryptoLoan to offer loans against crypto assets. BNP Paribas Fortis partners with Tink on digital banking. Credit scoring with big data. New business models, technology enable financial inclusion. How Celsius intends to disrupt P2P lending on the blockchain. Which sector controls the future of money? OnDeck today announced that the Company will appoint Kenneth (Ken) A. Brause as its Chief Financial Officer effective March 26, 2018, as part of a mutually agreed upon transition process between the Company and current Chief Financial Officer, Howard Katzenberg. Katzenberg will serve as an advisor to OnDeck until April 13, 2018, working closely with Brause to facilitate a smooth transition. According to Experian, 73% of Americans die with an average debt balance of $61,554. This – on average – includes mortgage, credit card, auto, personal, and student loans. The average personal loan Americans take to the grave is $14,793. Lending Club offers personal loans of up to $40,000. But that doesn’t mean everyone is asking for that much. Not does it mean that Lending Club is offering that much. TD Auto Finance (TDAF), a subsidiary of TD Bank, America’s Most Convenient Bank, today announced a partnership with AutoGravity, a fintech provider modernizing the way consumers buy and finance automobiles. Through this partnership, indirect financing offers through TDAF will be made available to qualified auto buyers using AutoGravity’s digital platform to search for and finance their next vehicle from the convenience of their desktop or mobile device. Santander Consumer USA Holdings Inc. (NYSE: SC) today announced it has reached an agreement with automotive technology leader AutoGravity to streamline and simplify the car-buying process for consumers. Through this agreement, Santander Consumer USA’s indirect finance offers will be available to AutoGravity customers nationwide through the AutoGravity mobile app. BBVA Compass, the U.S. subsidiary of the global financial services group BBVA, now offers near instantaneous decisioning and potential same day funding for both customers and non-customers with the footprint wide1 opening of the fully digital BBVA Compass Express Personal Loan. I recently caught up with the company’s chief information officer Bradley Strock, who has been in his role for three and a half years. We discussed PayPal’s transformation into a more customer-centric company, giving customers more choices of funding vehicles. We also covered how PayPal has successfully navigated the shift to mobile finance, resulting in a 50 percent increase in mobile payment volume in 2017. In January of this year, Strock joined the ranks of board-level CIOs, as he commenced a directorship with $700 million revenue Elevate Credit, Inc., which provides online credit solutions to non-prime consumers, typically defined as those with credit scores of less than 700. Peter High: Could you provide an overview of your role as CIO of PayPal? Brad Strock: Most people are probably familiar with PayPal. We operate in over 200 markets around the globe. We are on a mission to democratize money and have had a great deal of success over the last couple of years. 2017 has been a great year in particular. FinFit, a U.S.-based fintech that provides more than 80,000 American companies with a financial wellness benefit platform, announced on Monday the closing of a $35 million senior credit facility with Ares Management. The company stated it has the ability to increase the senior credit facility to $70 million and this capital raise follows a $16 million investment from Bison Capital Partners. Keefe, Bruyette & Woods was the exclusive financial advisor for the senior credit facility. How Colin’s background helped prepare him for his banking startup. The differences he saw between what consumers wanted and what incumbent banks were delivering. Why you need to offer a range of core products to move the needle on financial health. How their banking partnership today enables Varo to offer banking products. What banks are not doing well and how Varo is addressing this. The profile of their typical customer. How they are finding these customers. How they are specifically helping their customers get a better handle on their finances. Why Varo applied for a full national bank charter. Details of the personal loan product they are offering today. The traction that Varo has been getting. Who Colin views as the main competition for Varo. His vision for the future of Varo. A BNY Mellon report published last week in collaboration with the UN, cites flaws in design and marketing that make financial products less accessible to women than they are to men. Cloud Lending Solutions was recognized as a “Top 10 Best Performing Salesforce Solution Provider” of 2017 by Insight Success Magazine. Today Fundbox announced the launch of Fundbox Pay, a new payment and credit solution servicing the $4.5 trillion small business-to-business (SMB2B) transactional market in the U.S. By addressing SMB’s lack of credit access and by facilitating credit payments between buyers and sellers, Fundbox Pay provides the 21st-century infrastructure to unlock the trapped value in the SMB2B economy. Caliber Home Loans, Inc. (“Caliber”) today announced the launch of a new mobile platform. Featuring three mobile phone apps customized for three user groups – borrowers, the Caliber sales force and their business associates – all users receive real-time information and the ability to respond from virtually anywhere. Caliber processes data from all three apps on the back end, which enables efficient and effective communication across the loan process. When Home Invest entered the picture, that’s when. Home Invest allows you to run your next renovation from your laptop only, never having to walk your rental investment property. RATESETTER has revealed that over 5,000 Innovative Finance ISA (IFISA) accounts were opened in the first month since the product’s launch. Ranger Direct Lending Fund PLC said on Monday Princeton Alternative Income Fund LP and Princeton Alternative Funding LLC filed voluntary petitions of bankruptcy last Friday, after arbitration proceedings following a provisional take over of a loan portfolio. The company said that it was “disappointed” the bankruptcy filing has stopped the first phase of the arbitration, but believes Princeton’s portfolio will be investigated and the investments the fund has made will be compensated. Upstart challengers continue to lead the way in the UK’s open banking space, as API specialist TrueLayer integrates with Starling to enable businesses to access customer account data. The Starling tie-up means that the bank’s customers can now share their data to use products created by these developers – including income verification tools, lending products and collated financial dashboards. The partners stress that account information will only be accessible when a customer chooses to use a new product and actively agrees to share their information through an explicit consent. HSBC will launch a new app that centralises information about customers’ accounts — even those held with rival lenders — as early as next month, becoming the first major UK bank to take advantage of new regulations designed to boost competition and make it easier to switch providers. The bank has set a target of the first week of May to release the “Connected Money” app, but Stuart Haire, HSBC’s UK head of retail banking and wealth management, told the Financial Times that he was hoping to make it widely available by mid-April. The RM Secured Direct Lending fund is looking to raise new capital through the issuance of new C shares and Zero Preference shares, according to regulatory filings. Launched back in December 2016 raising £50.6m, the fund has raised another £30m through a C share issue in October 2017 but its managers have said on several occasions that the strategy can be scaled up significantly. The fund has clocked up a 4.2 per cent dividend pay out last year beating its 4 per cent target. On Thursday, U.K. personal finance app Emma — which just launched in beta in December — announced a data-sharing agreement with challenger bank Starling Bank. It’s the second such agreement this year after a similar one with challenger bank Monzo in January. The company’s two key revenue streams are based off interactions with customer data: referral fees from product recommendations and revenue from future financial products it could launch, including premium features within the app, he added. The Next Gen: Investors and Savers report by P2P lending platform ArchOver has revealed that two-thirds of UK adults (67%) would call themselves ‘savers’ rather than ‘investors’. The survey of 2,000 UK adults found that the average saver puts aside £191 a month. Just under two-thirds of savers (66%) maintained a ‘rainy day fund’, while financing a new car or a holiday (29%) or paying for retirement (27%) were the other main reasons for saving. The majority of savers (83%) used traditional savings accounts to build their nest eggs, followed by Isas (43%) and pension funds (33%). Swiss banking giant UBS is reportedly banned in Hong Kong from sponsoring initial public offerings (IPOs), reports in Financial Times said Friday (March 9). The publication cited UBS’s annual report, which revealed the 18-month ban from the Hong Kong Securities and Futures Commission. The regulator also fined UBS $119 million following an investigation into its sponsorship of IPOs for companies listing on the Hong Kong Stock Exchange. According to reports, the ban comes two years after UBS warned it was also facing a suspension of corporate advisory services in Hong Kong. The bank also faced an investigation in Belgium in 2016 for money laundering allegations. China Rapid Finance is one of thousands of private online micro-lending companies in China which, in recent years, have filled a critical gap in the country’s economy by extending credit to members of the lower and lower-middle classes, who traditionally have not had access to borrowing under the state-owned banking system. Proponents of the payday and peer-to-peer loans offered by these companies assert that they offer borrowers upward financial mobility and the opportunity to achieve the trappings of a middle-class lifestyle. 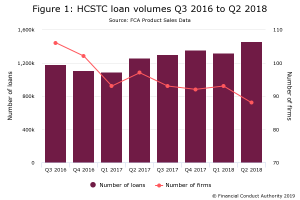 But the rapid proliferation of lending companies in an unregulated market has also led to widespread over-borrowing and a spate of predatory debt collection practices. More and more borrowers began to default on loans, and financial analysts and government regulators both worried that a growing debt bubble at the basement rungs of the Chinese economy might threaten the general stability of the country’s financial system. Estonian peer-to-peer (P2P) lending platform Investly has successfully secured its initial £500,000 funding target through Seedrs. The equity crowdfunding round has so far attracted more than 375 investors. CryptoLoan is a smart lending product offering Bitcoin-secured online loans that will allow Bitcoin investors to enjoy the value of crypto assets without selling them. The new product initially will be available for Swedish residents only, but the company is planning to open registration for other European countries shortly. In the first phase of product development, CryptoLoan will offer online loans with Bitcoin collateral only to Swedish residents, but company development plans include expanding to other European markets shortly as well as enriching the list of accepted collateral with adding other cryptocurrencies. Customers from other European countries are welcome to sign up for news and get an exclusive opportunity to be the first to try the product as soon as it is available in the particular country. Belgian bank BNP Paribas Fortis has announced it will be integrating tech from Swedish firm Tink to power its mobile banking applications. The use of non-traditional data to churn out credit scores is now expanding beyond the underbanked and unbanked to reach even well-banked individuals who already have a credit score. This pool of data, which is used to discover patterns of users’ repayment behaviour based on their mobile phone and social media usage, is playing an increasingly important role in Asia alongside traditional credit scores. Based on studies that have drawn a correlation between mobile phone usage and repayment rates, algorithms have been created to predict an individual’s potential for defaults. LenddoEFL is one of the pioneers in this field. It started its operations in the Philippines in 2011 before expanding to other countries with large underbanked populations such as Mexico and Colombia. Mark Mackenzie, managing director for Asia-Pacific at LenddoEFL, says the company will be announcing a partnership in Malaysia in mid-2018, although he is reluctant to disclose more details. As pointed out by impact investment firm Omidyar Network in its 2016 Big data, small credit report, it is estimated that individual consumer data production will reach 35 billion terabytes by 2020 — some 44 times the data produced in 2009. It also highlighted a few reports that had observed more than 30 companies globally that are already creating credit scorecards using non-traditional data. Most recently, he founded Celsius, the consumer credit blockchain-based startup. ApplePay is forecast to facilitate US$200 billion in payments by 2021 and already handles US$50 billion annually. Meanwhile, Amazon is preparing to cut the ribbon on its first chequing account feature by partnering with JP Morgan, a leading US bank. According to the Australian Financial Review, 84% of millennials would consider banking with a tech giant like Google or Apple. This indicates that the average consumer puts more trust in their search engine provider than their internationally-recognised regulated Tier 1 banking institution, which only reaffirms the scale of the problem banks are now facing.